Whether the roads on which you drive the most are in Macomb or elsewhere, Land Rover Lakeside urges you to share the road with bicyclists. 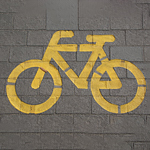 We offer tips today to help drivers and bicyclists achieve that end. When you drive, stay alert. Distracted driving is dangerous. Never cruise in the same lane beside a bicyclist. You both need more reaction space than a side-by-side formation allows. Remember that cyclists are entitled to a lane's entire width. Only pass them when you can leave them a three-foot buffer while not impeding motorists in other lanes. 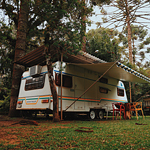 For Macomb residents who are planning on taking the family camping this summer, it is always important to be safe on the road. Of course, safety begins before you ever leave your driveway. That's why the Land Rover Lakeside team decided to put together this brief guide to preparing your vehicle to tow a camper. If you are concerned with safety, a backup camera is a good way to add peace of mind to the time you spend in your new vehicle. At Land Rover Lakeside, we understand how important it is to drive in a safe and reliable vehicle. A backup camera is available in most new vehicles and offers drivers added safety when they are in reverse. Parking and towing are great ways to utilize the features of a backup camera system. Guidelines will help you line up correctly, all while making sure that nothing is in your way. When a car battery dies, there's a good chance it can be revived again by a jump start. 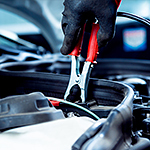 Jumper cables give you the chance to attach one car battery to another in order to transfer power. If you have a dead battery because you left your lights on, it's time to find another car and get out your jumper cables. The Range Rover remains a popular SUV for its luxurious style and features. 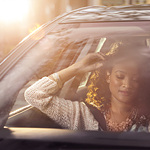 The 2019 models have even more technological features that add to the vehicle's capability. See what the new Range Rovers have to offer by seeing them in our Macomb inventory. The steering wheel controls are conveniently at your fingertips. Program the button functions to meet your daily performance needs quickly and easily. With a push of a button, you immediately activate the voice command module that enables you to make hands-free calls or tune your infotainment system. When you're concerned about winter driving in Macomb, you could benefit from the added performance that winter tires provide. 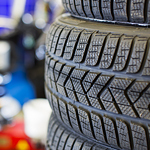 While all-season tires work well in warmer conditions, the hard rubber than they are made of gets less flexible when the temperatures start to drop. These tires are great for people who don't frequently drive in the cold. Winter tires are made of a soft rubber compound that will effectively grip the road while driving on snow and ice. They are designed to have a deep tread pattern with a high sipe density and many biting edges. Driving on a bright sunny day is uplifting. But, the sun often hinders the driver's view. The worst times are sunrise and sunset. However, AAA offers a number of tips and tricks to minimize the problem. If audio quality is a top priority for you when you're shopping for a new ride, take a look at the 2019 Land Rover Discovery. This highly sought-after seven-passenger SUV can be equipped with three different audio system. Each is fine-tuned to deliver a great listening experience. The first is the standard Land Rover audio system. It utilizes 10 speakers that are strategically placed throughout the cabin for ultimate clarity. 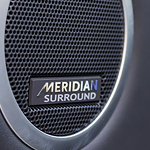 The other two options are made by Meridian. Are you on the hunt for a luxury SUV that has all of the technology features that you want from a vehicle right inside of it? 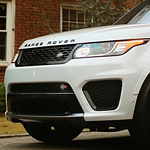 If you are, you should not overlook the popular option that is the Range Rover Sport. 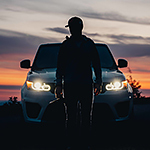 When you come by Land Rover Lakeside, we will show you how the Range Rover Sport sets you up with two different touchscreens to use on the go. This vehicle does not skimp when it comes to technology and it gives you access to all kinds of features through the screens that it offers. How do you replace a flat tire? 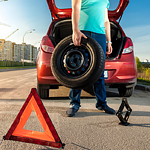 Replacing a flat tire is not as simple an operation as it once was. Early in the history of cars, flats were considered a routine repair process. Flats happened often and replacing them was a simple jack the car up, remove and replace the flat and lower the jack and off you went. Today, the process can damage your car if you jack in the wrong spot.